aqui para ahora: first trip to the zoo! For Claire at least. Justin and I had not been to the Cali zoo but had heard good things about it so we went with a couple of friends this past Saturday. 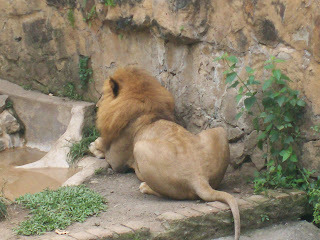 The zoo is home to a number of rescued or retired animals. It's a beautiful area too, in the city's west, bordered by the river. 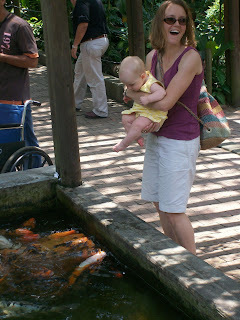 Claire adored the coi fish. And I adored Claire. She cracks me up. See what I mean? This is Stetson. Go to the zoo and bring a biology teacher. His roommate, Nira, also came along for the day. Good company. 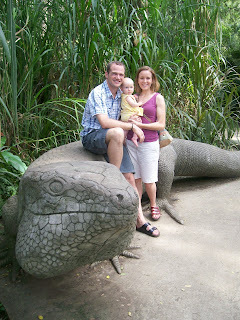 Can you believe that lizards this big were once the scourge of Cali's sewer system? Kidding. I hope. 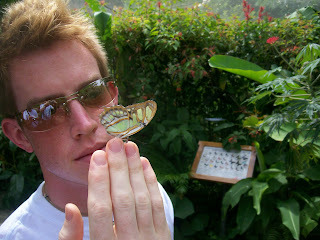 And my favorite exhibit was the butterfly atrium. 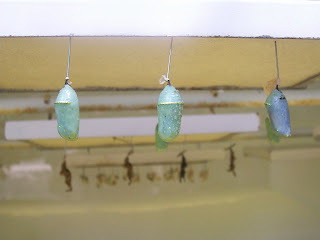 What I loved most were the rows of chrysalises becoming butterflies. They were so beautiful to look at and I wanted more. 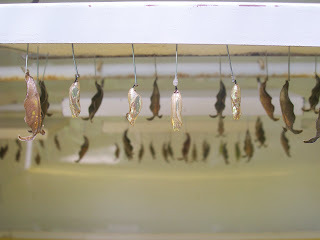 I wanted a room full of chrysalises. 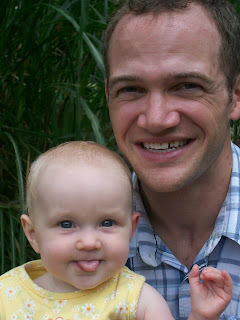 Cute picture of Claire! She's so expressive.